Bernard Edwards was a bassist who truly left his musical footprint in time. Even long before his best known audio footprint came along with Chic’s 1979 jam “Good Times”. This essentially showcased the exact transition from disco to hip-hop-by ‘Nard’s iconic bass line also being the basis for Sugarhill Gangs equally iconic “Rappers Delight”. Edwards style was based is economy with style,especially on his bass lines/solos on Chic hits such as “Dance,Dance,Dance”,”Everybody Dance” and of course “Good Times”. This was a major aspect in how Chic innovated their disco style through some heavy funkiness. Some years ago,I became familiar with the first two solo albums by Chic guitarist/ songwriter /producer Nile Rodgers. I only found out that Bernard Edwards recorded a solo album in 1983 (around the time Chic ended its original run of albums) following his death 20 years ago now of pneumonia. It was entitled Glad To Be Here. It was reissued on CD roughly around the time as they reissued Chic’s early 80’s catalog. Only recently have I began to explore the songs from by listening to them via YouTube. The tune that really epitomized the album was the closing title song. A heavy drum kick opens the song before the Vocorder comes in to introduce a melody. That’s when the main body of the song comes in. This consists of a tight,dripping higher pitched rhythm guitar. Edwards bass accompanies this sometimes to the letter,other times with stick slapping lines. This is accompanied by quavering bursts of synth brass. Edwards raps seem to count down to the next section of the song. There are two instrumental bridges. One is built around a thumping synth bass solo. The other is a stiff,hiccuping higher pitched synthesizer that begins the refrain that fades out the song. It comes as now surprise to me that,for all intents and purposes,this is still a complete Chic song. Tony Thompson provides the drums,Bernard Edwards is carrying on the bass while the guitar is from Nile Rodgers himself. The only thing it does is strip out the strings and lead/backup female vocals. So this represents Chic in its core rhythm section. And it becomes clear how funkified that sound is. This is heavy,naked electro funk. Basically what Chic might’ve sounded like going through the Minneapolis funk filter of the day. And it showcases how vital Edwards’ sound was as a part of Chic. Even on his solo material. Ever since my fourth grade music teacher Mrs. Gockle forced me to give up the upright bass due to her fascination with the melody based violins and violas? A deep life long interest in the bass as a musical instrumental emerged. Started listening for it closer in my fathers jazz records. And it was the foundational element in my favorite form of music-funk. As time went on? I understood the sound it made to be so flexible,it could bring the melodies right out of the rhythms it created-when in the right hands of course. As an adult? I’ve gravitated towards listening for how the bass is used on a song. It may have something to do with the old saying about how funk/soul lovers want to turn up the bass with rock fans prefer to turn up the treble. Since my understanding of the bass is almost totally oral rather than academic? The bass players I’m talking about here today may not all be the most renowned or well know. Though many of them are. These are people who have a distinctive approach that just reaches my type of musical ear. So here are my twelve (current) bosses of the funk bass. 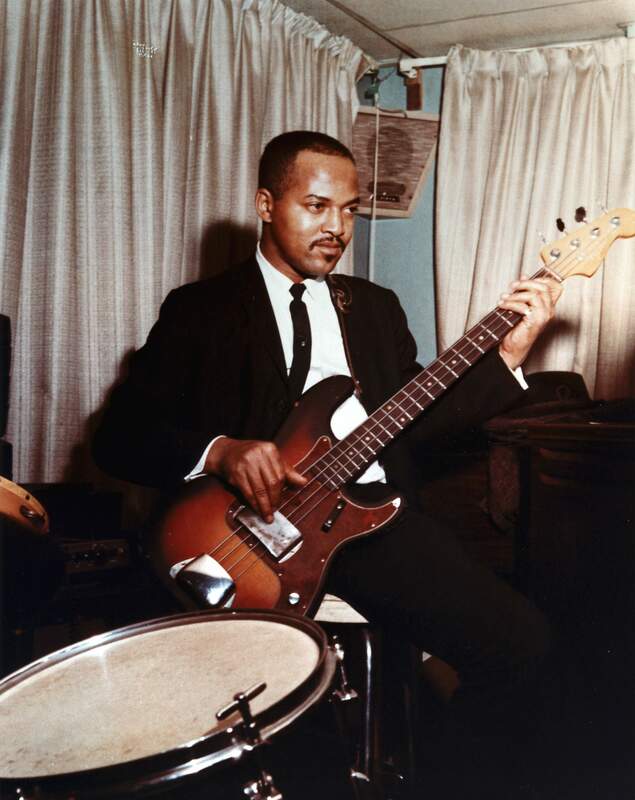 James Jamerson is one of those bass players even non instrumentalist music lovers can pick out of the crowd in a second. Just listen to the opening of Motown hits he played on like “My Girl”,”Reach Out I’ll Be There”,”Don’t Mess With Bill” and “Just My Imagination”? And you understand how this key member of Motown’s now iconic Funk Brothers house band opened up the melodic possibilities of the electric bass probably more than anyone of his day. Jamerson’s sound probably got stuck in my consciousness those mornings half asleep going into town,from our family summer camp,in 1991 listening to the radio’s Motown Monday’s before I even realized it. 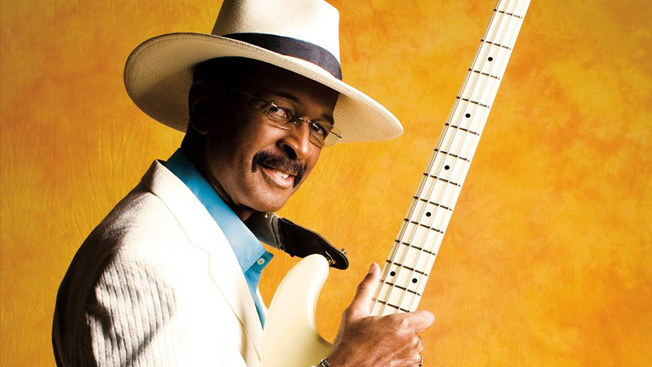 Larry Graham,Bay Area bass player extraordinaire for Sly & The Family Stone,basically created the slap bass approach to playing that became one of the rudiments of the 70’s funk sound. Even before venturing out on his own with Graham Central Station,a solo career and session playing with Prince later on? Larry had already innovated the fuzz bass as well with the Family Stone’s breakout hit “Dance To The Music”. 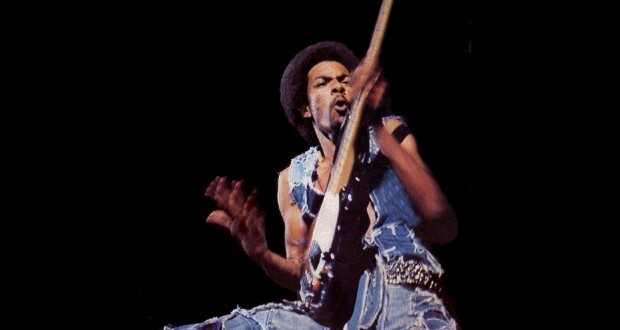 He’s probably one of the most renowned and famous funk bassist ever of course. And whatever I hear other bassists playing after? In some way it comes down to Larry in the end. 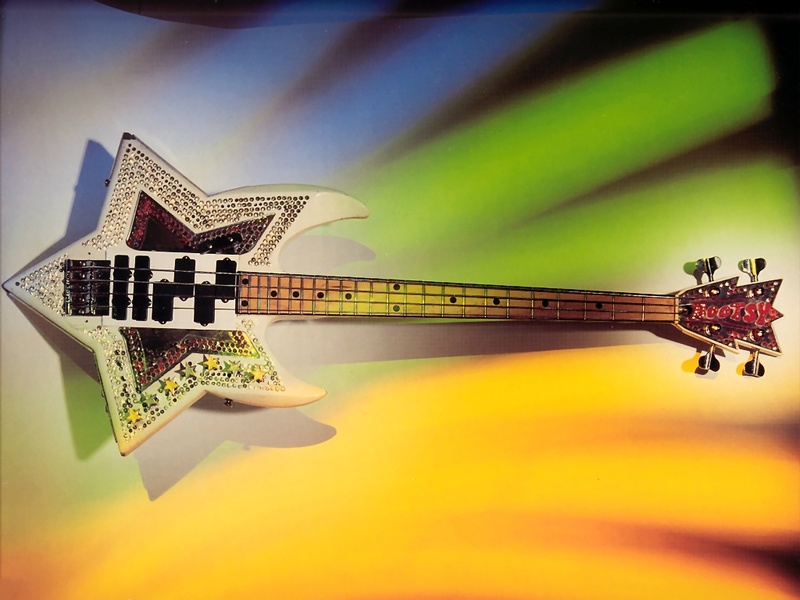 Bootsy Collins,having spanned playing with the JB’s and than George Clinton’s P-Funk,picked right up in terms of bass innovation where Larry Graham left off. Bootsy’s effect on how I listen to music is one of personality. Rock musicians often call themselves guitar gods. And if I ever wanted to use such a term? 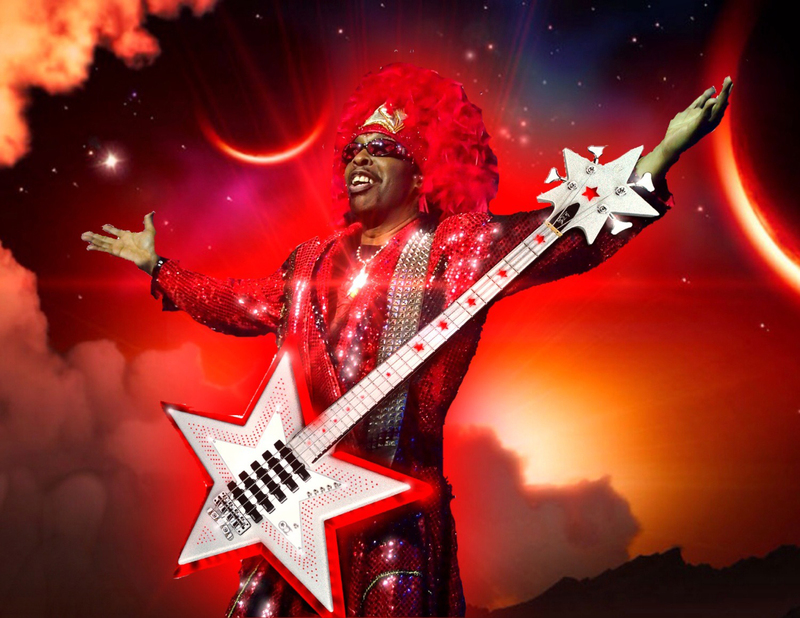 Bootsy,with his glittering outfits and superhero like persona,is something of a bass god in that regard. He doesn’t just slap the strings. He pops out thundering,round tones. He snarls his bass like a guitar as well. Collins therefore probably has the most flexible and diverse style of playing the electric bass than many that I’ve heard. Fellow Earth Wind & Fire member Verdine White once said that everything he learned about bass came from this man,Louis Satterfield. One thing that really makes Satterfield fascinating to me is that he plays two low toned musical instruments: the trombone and the upright/acoustic bass. Often regarded more as a member of the iconic Phenix Horns,Satterfield has a long history playing for Chicago blues greats before essentially becoming the musical godfather of the totally rhythmic experience the bass played in EWF during their key years of the 70’s. Wilter Felder,speaking of horn players,was only known to me to be a bass player as well when my blogging partner Rique informed me one day that Felder played bass on the Jackson 5’s first hit “I Want You Back”. As a bass player? Wilton did the reverse of what Louis Satterfield did. He helped to bring his melodic saxophone approach to his bass playing. Quite appropriate with the key role all the Crusaders played in late 60’s/early 70’s Motown-a label whose music always had a core of the melodic style of bass playing. 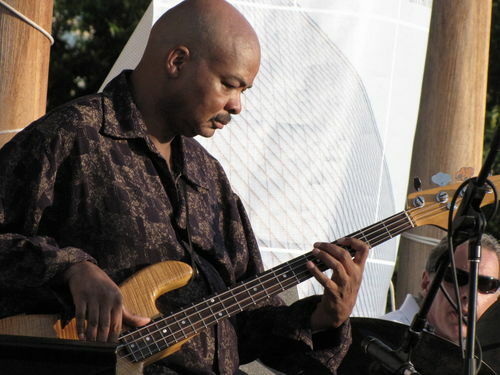 Michael Henderson,a musical disciple of James Jamerson,helped me to completely come to terms with my understanding how the bass could be a powerful compositional instrument. Henderson played with Stevie Wonder,Miles Davis,Aretha Franklin and Dr.John in his earlier years before venturing out on his own solo career as a singer. He continued the tradition of melodic bass playing that came directly from his Motown education. And than took it onto a career as a premiere funk performer as well as being an instrumentalist. 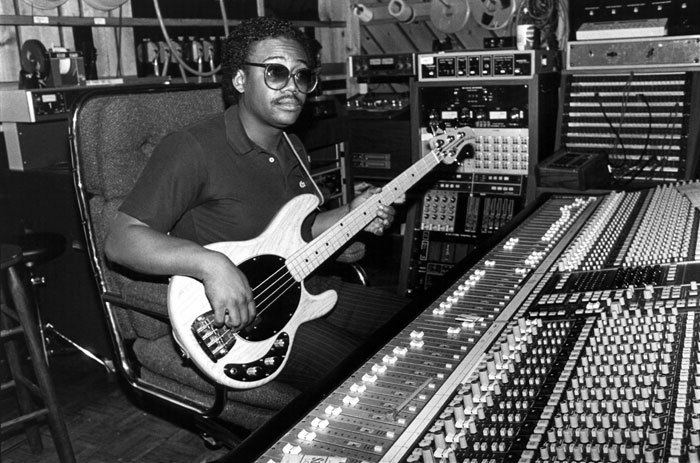 Bernard Edwards,late of Chic and partner to iconic musician/producer Nile Rodgers in that band,probably did more for innovating the disco bass style within the musical sub-genre of funk than anyone else in his day. One of my very favorite basslines in fact comes from Edwards-the slippery jazz oriented intro to Chic’s 1977 hit “Everybody Dance”. Pretty much every electric bass player today playing danceable pop music has something of Edwards in what they’re playing. Marcus Miller not only helped engineer the early 80’s comeback of Miles Davis. 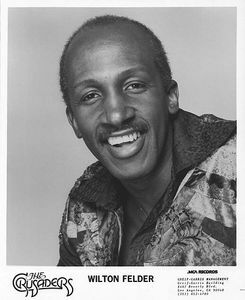 But he also went on to become a star producer and bass player for Luther Vandross at the same time. All before launching his own solo career in the 90’s up to the present day. 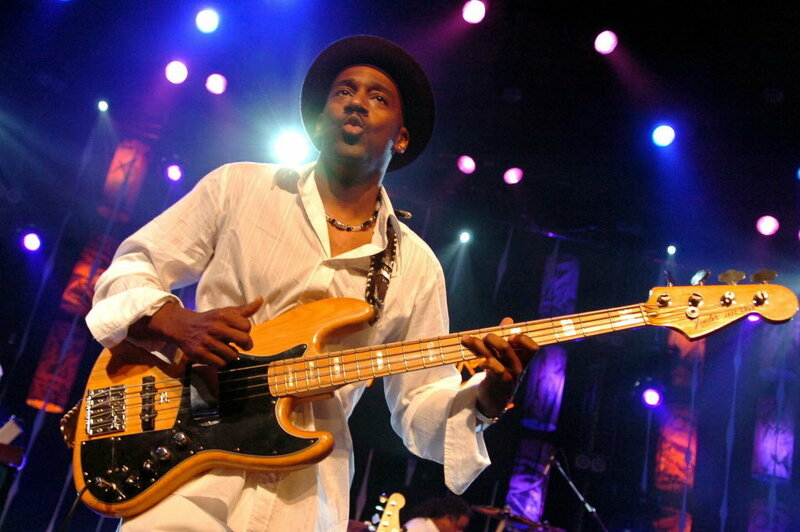 What gets me about Marcus is how he took the slap bass approaches of funk players such as Larry Graham and Louis Johnson and bought jazz improvisation into the equation-a more hyper melodic alternative to earlier slap bass jazz icon Stanley Clarke. As a multi instrumentalist,he was also able to construct heavily funkified soundscapes with the bass as it’s core rhythmic element as well. 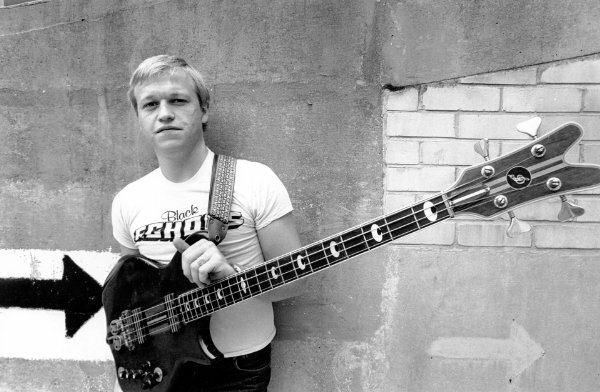 Mark King was key of bringing of bringing the fast paced,jazzy slap bass style of Stanley Clarke and Marcus Miller into the new wave world as the bandleader for the UK’s jazz/funk/pop band Level 42 during the early/mid 1980’s. Also quite a fluid composer,King was a bass player that I came to love and appreciate within the last decade. And has actually helped me a great deal to understand new wave/synth pop as often being an instrumental outgrowth of American funk. 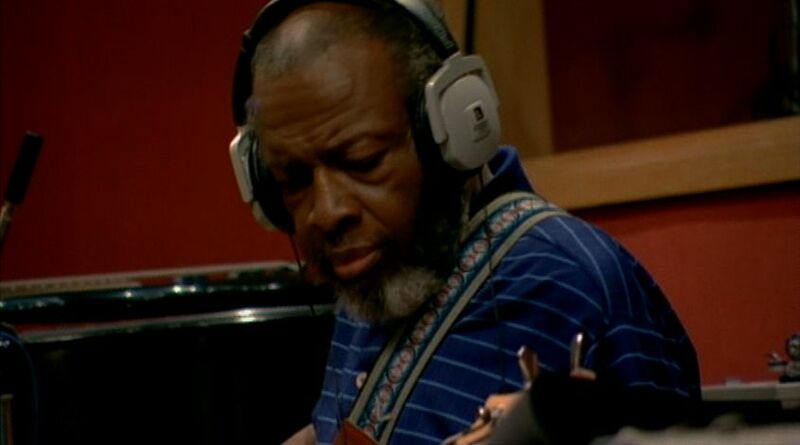 Jamaaladeen Tacuma came out of jazz great Ornette Coleman’s 70’s and 80’s group Primetime to have his own solo career in the 1980’s. 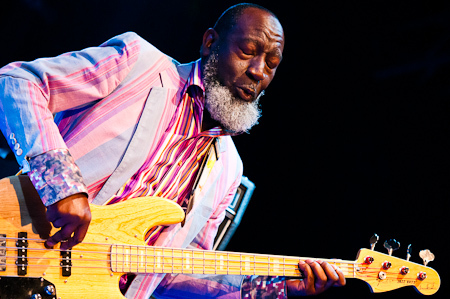 Tacuma bought together the free harmelodic approach of Ornette to his bass playing. Listening to his abstract slaps,thumps and vamps really fuel my imagination on just how much the electric bass can really do. 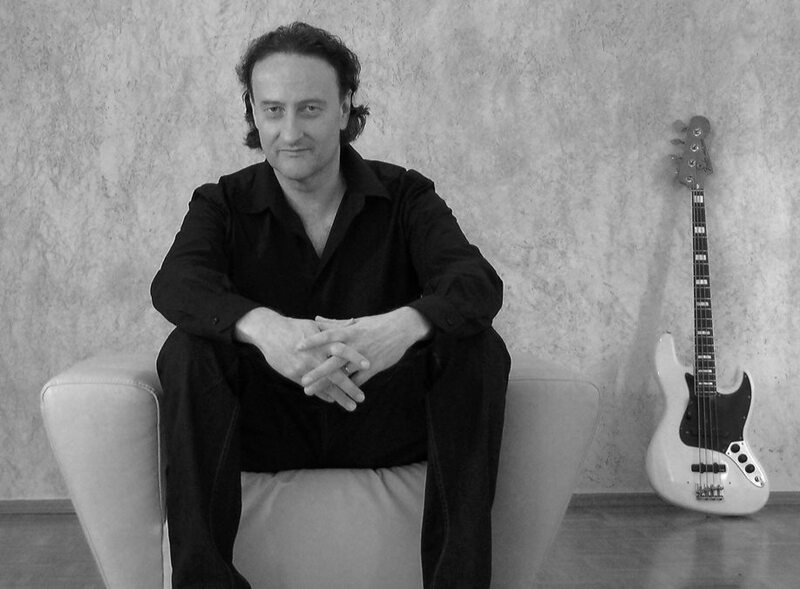 Peter Muller,Berlin resident and modern day bassist,is one of my most recent discoveries. Muller’s sound comes out of the slap bass flower that Larry Graham got going almost half a century ago now. And he’s channeled it all into the jazz-funk revival that’s grown out of the smooth jazz production approach and is currently independently releasing some seriously strong bass oriented jazz/funk albums that have really peaked my interest as a listener. While I am aware that people such as Stanley Clarke and the late Jaco Pastorious didn’t make this list? Well,these are only the bassists that had the most personal musical influence on me. And the appreciation of what we listen to and for in the music in our lives has a highly individual approach too. At the same time? If you can dance to the beat of the drum? Your probably already on the road to being able to pop to the beat of the bass line as well.